This guide covers all the information you’ll need to make a smooth transition to campus life here at Indiana University Bloomington. We work closely with several university departments and the City of Bloomington to coordinate all aspects of your move in experience. To accommodate the schedules of other departments, these dates have been established for move-in. Only sponsored IU students or those in pre-approved groups may move in. This includes athletes, Intensive Freshman Seminar (IFS) students, and RPS student employees. If you have specific questions about moving your sponsored group into the residence halls before August 18, 2019, please email us and you’ll be referred to the staff coordinating these groups. The housing fee during this period is $18 per night. If you sponsoring department covers this expense, it will be billed to them. If it does not, this expense will be billed to your bursar account. First-year international students may not arrive before August 8, 2019. The housing fee during this period is $18 per night and it will be billed to your bursar account. 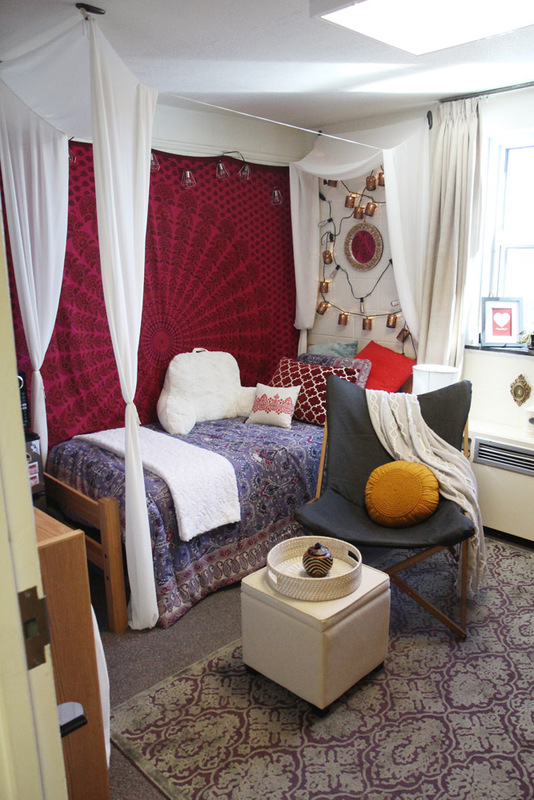 Any student with a housing contract for 2019-20 can move into their assigned space. You do not need to pre-register. If you and your family need to arrive on one of these days, just go to your residence hall’s center desk and check-in between 8 a.m. and 12 midnight. Parking times at metered spaces will be enforced. Overnight parking will not be allowed in parking zones CH1 and CH2. At 8 p.m., vehicles must be removed from these lots. Overnight parking will be available at the Memorial Stadium in the purple and white lots. There will be special campus bus routes on these days to help you get from the stadium back to your residence hall. The housing fee during this period is $42/day and it will be billed to your bursar account. These are the "official" days with all the excitement. We’ll be fully staffed and ready to welcome you! When you receive your building assignment information in June or early July, you’ll also receive your assigned move-in date. To help ease the congestion created by thousands of students moving onto campus at one time, we strongly suggested you move on your assigned date. However, if you need to arrive on another day, you don’t need our permission or approval to do so. You may check in between 8 a.m. and 12 midnight. If you arrive after midnight, call the phone number posted at your residence hall's center desk. Students should follow the signs to their check in location. Once you’ve completed checking in, it time to move everything to your room. To help you move, some carts will be available to check out at most locations. You may want to bring a dolly with you. Students moving in for the spring semester should go directly to their assigned residence hall. You may check in between 8 a.m. and 12 midnight. If you arrive after midnight, call the phone number posted at your residence hall’s center desk. If you don't have an assignment, email housing@indiana.edu, call them at 812-855-5601, or go to the assignment office in the Nelson Administration Building at 801 North Jordan Ave. between the hours of 8 a.m.–4:30 p.m., Monday–Friday. Students moving in for a four, six, eight, or twelve-week summer term should go directly to their assigned residence hall on the date specified on the housing contract. You may check in between 8 a.m. and 12 midnight. If you arrive after midnight, call the phone number posted at your residence hall’s center desk. You may purchase renters insurance through any provider. IU has partnered with GradGuard to make their renters insurance plan available at preferred rates. Please visit the GradGuard website if you have any questions about coverage, exclusions, and pricing. Students who wish to move fewer things to campus in August may ship items directly to their assigned residence hall. Street address of assigned residence hall 445 North Union St. Residential Life staff at the Front Desks are not authorized to give the package to a resident unless the mailing address is listed in the above format, and are required to Return to Sender if not appropriately labeled. Residence hall street addresses are available here. Before doing anything to a room, please read the A to Z Guide about modifications. Room dimensions determine the bed arrangement options available in any given room. The table below indicates available arrangement options for specific residence halls. Information to be announced during the summer. Once you connect to IU's network, you'll be able to use your personal PC, laptop or table. You'll also have use of PCs, Macs and printers in the Residential Technology Centers in each residence hall. Locations, hours, services and software available at the IU RTC Knowledge Base.